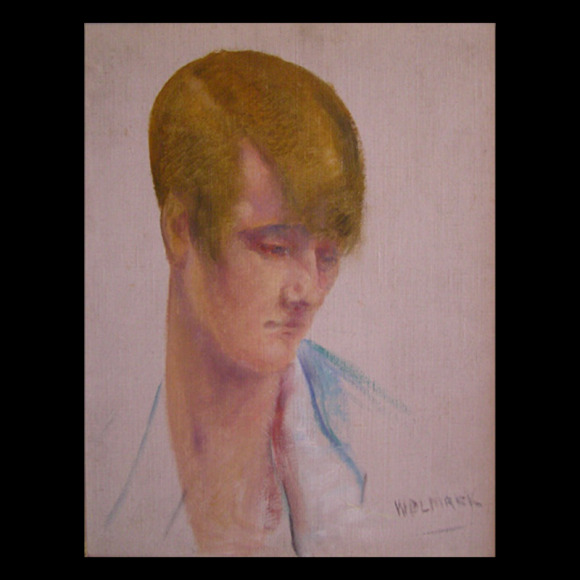 A painter, designer and one the pioneers of Post-Impressionism in England, Alfred Wolmark was born in Warsaw in 1877 and at the age of six was brought to England, where his family settled in the East End of London. From 1895 he started studying at the Royal Academy Schools, winning a silver medal. In the early years of his career he concentrated mainly on figurative compositions of predominantly Jewish subject matter. His paintings gained critical acclaim for their strong characterisation and depth of feeling and were considered by some to be the first artistic scion from the new Jewish immigrant refugees that emerged from Eastern Europe. In 1910 an astonishing change took place in both his technique, use of colour and surprisingly, subject matter, for which the reason is unknown. However this dramatic transformation did not alter the general admiration for the originality of his work and he is considered one of the most interesting of the independent Avant-Garde painters. His advanced use of colour was compared to artists from such groups as the Camden Town Painters and the Scottish Colourists. He first exhibited at the Royal Academy in 1903 with The Last Days of Rabbi Ben Ezra and continued to exhibit there till 1936. His first one-man exhibition was at the Bruton Galleries 1905, which was followed by others in Berlin, Paris and New York. He also exhibited at the 1910 Post-Impressionist Exhibition in London. 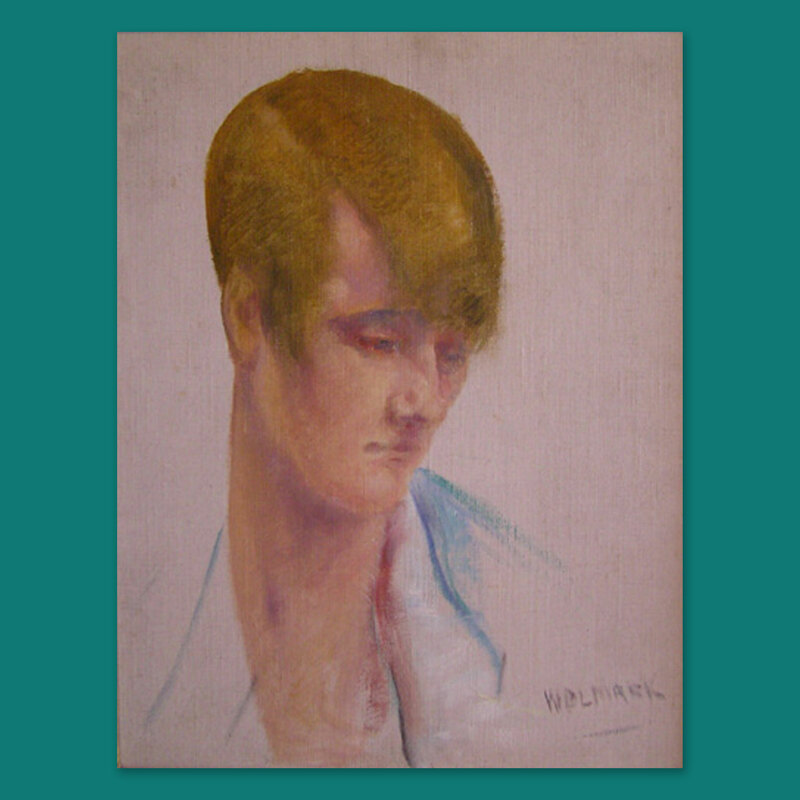 During the 1920’s Wolmark’s success continued as he produced stage designs for the Diaghilev ballet, illustrations for the publisher Zangwill and the controversial abstract stained glass window for St Mary’s Church in Slough.